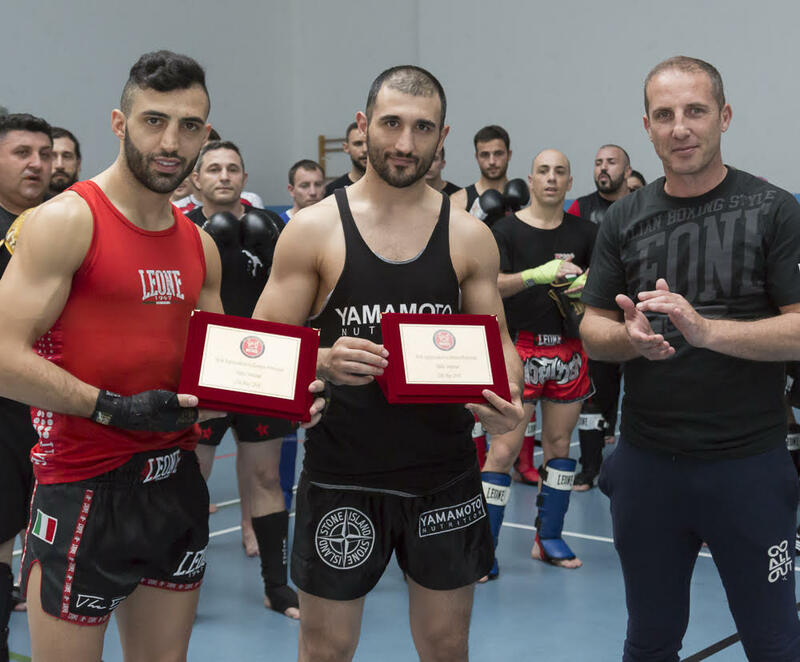 Around 120 athletes from various kickboxing clubs around Malta came together under one roof in order to learn from the current K1 world champion, Giorgio Petrosyan. Petrosyan, who has been declared K1 World Max Champion twice, came to Malta for the first time at the invitation of Master Noel Mercieca. During the seminar, which was held on Saturday 12th May at the St Jeanne Antide school gym in Tarxien, Petrosyan demonstrated to Maltese athletes important techniques used in K1 rules and Muay Thai, including punches, kicks, footwork, and leg grabs. After observing the athletes during these training sessions, Petrosyan declared that the level of various Maltese athletes is high, and that it is a pity that their opportunities in Malta are still quite limited. Armen Petrosyan, who is Giorgio Petrosyan’s brother and himself a superwelt world champion, also assisted in the seminar. Petrosyan’s is the latest seminar organised by Master Noel, who in the past years has brought to Malta various kickboxing champions, including Ernesto Hoost, Osman Yigin, Tom Hanrick, Fabio Siciliani, Boo Saspirapa and Didier Le Borgne. More information can be obtained by getting in touch with Master Noel Mercieca on 79208283, visiting the website http://www.kickboxing.com.mt/ or the Facebook page Team Noel – Kickboxing Malta.